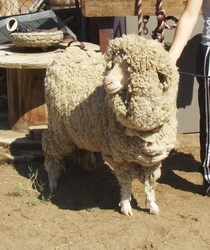 Welcome to the The Fiber Ranch, where we specialize in Fiber, Hand Spun Yarns , Drop Spindles, and Custom Made Garments. The Fiber Ranch originally begin in 1991 as “The Ranches Angoras”, when my two daughters and I first began to raise, and show French and Satin Angoras. I started spinning in 1995 after years of wanting to learn and hating to waste the beautiful angora fiber we were collecting. It has become one of my favorite hobbies, I find it is a wonderful way to unwind after a long day. Once we got involved with spinning it really set fire to our love of all things fiber related. That love encouraged The Ranch to expand to include many other types of fiber animals, including Merino Sheep from the Mendenhall line, Llamas and Alpacas. We love the soft fibers these animals provide as well as their individual personalities. 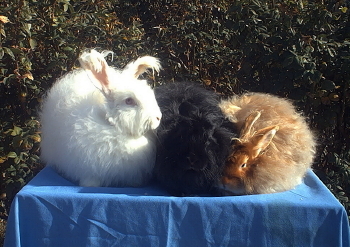 Since, we grew to be about more then just Angora Rabbits, we decided a name change was in order, and changed over to the new title The Fiber Ranch. We have a fun trend you might notice, I started it with the rabbits, all of them are named after “All my Children” characters, then my daughter started to name all the sheep after “Harry Potter” characters, and we are waiting to see what trend comes with the Llamas and Alpacas, with the arrival of future babies. You will sometimes see our fibers listed by the animals name, that is because each animals personality and fiber is unique. Certain “characters” like Lucius have become very popular, because the quailty of his fleece is so amazingly soft. None of our animals are ever harmed when harvesting their wool. The Angoras go through a natural molt every three to four months, were the loose fiber is collected by hand. The sheep and alpacas are sheared every one to two years. We also keep special jackets on the sheep to keep their fiber extra clean. Because of our skills and access to so many fibers, we offer several custom options for you to chose. We can custom dye or custom blend anything you see here on our site and much more. We also offer spinning services if you have a fleece or other fiber you would like spun. Feel free to contact us in regards to any custom services or products you are interested in. And if you are in the Southern California area we can help you find help learning spinning or dyeing techniques. Sorry, The Fiber Ranch is not currently open to visitors, but we often share pictures of our animals for you too see. You can also find us at several local Fairs, Fiber Shows, and other events.